Almost as strong as my love for books is my love for movies...almost! One of my favorite things about the movies is the Academy Awards...the OSCARS. I look forward every year to that 3-4 hour broadcast that is the defining moment of anyone in the movie business. 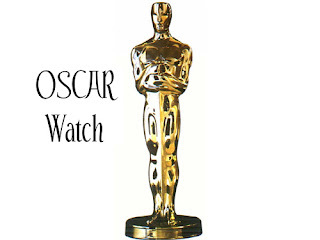 I start watching early on for great movies and performances that I believe have a chance for OSCAR glory. Case in point...Summer 1995, my boyfriend (now my husband) and I saw Braveheart for the first time. As we were leaving the theater, I remarked to him, "This movie should be nominated for a best picture OSCAR." Fast forward to March 1996--Braveheart goes on to win two of the highest OSCAR honors...Best Picture and Best Director, Mel Gibson. Of course, those who know me know that Braveheart is my favorite movie of all time so naturally I would use it as an example, but you get my point. I enjoy making OSCAR predictions! My first prediction of the year involves Quentin Tarantino's Inglourious Basterds. This was a great movie and while I believe that it might have a chance for a nom in the best picture category--especially since the number of noms in that category has expanded from 5 to 10 this year--and also a best director nom for Tarantino, the stand out in this film is Austrian actor Christoph Waltz. Waltz's portrayal of Nazi colonel Hans Landa, or "The Jew Hunter" as he is nicknamed in the film, is absolutely brilliant. He won the 2009 best actor prize in Cannes and it's easy to see why. This is the Nazi that you would be truly afraid of...ambiguously polite and magnetic, but subtlety evil and cruel. It is his well-acted part that grounds Inglourious Basterds and makes it a far better film than it would have been without him. It will be a great travesty if Waltz does not receive a nomination in the best supporting actor category. If you are not a fan of Tarantino, the movie is worth seeing just to see the genius acting of Christoph Waltz. If you are a Tarantino fan, then this is a movie of his you should not miss and Waltz's portrayal is just an added bonus. Thanks for the comments! When you see the movie, come back and let me know what you thought about it! Do you think Julie/Julia has a shot at BP? It's pretty light with regards to subject matter, but Meryl Streep did such a great job and I really loved the movie. I have not seen it yet. But when I do, I will let you know what I think! Oh, you know I love Tarantino! Braveheart is also one of my favorite movies too! Cool Post! Can't wait to see if your right! Michelle, I'm so sorry i can't share your love of Mel Gibson or Braveheart. So let's celebrate our love of the Oscars! I haven't seen this movie yet but from what I've heard from friends is that I think your dead on this guy being nominated. I also think Meryl Streep will be nominated from everything I've heard. Meryl getting a nomination is probably a given. I don't think I've ever seen a bad performance from her. Love her! I love making Oscar predictions. I agree. The guy who played Landa should win and Oscar. He was terrific. My sons have both seen this movie twice and loved it. It does seems strange to say Oscars and Tarantino in the same post, though! Michelle, since I don't have a TV and as such won't be watching the Oscars, I hope you decide to blog all about it... before and after! 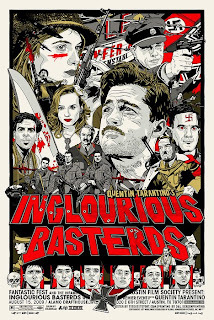 By the way, I loved Inglourious Basterds. It was the most fun I had at the movies in a very long time.